The most comprehensive modern commentary on Shantideva’s master work. One of the great classics of Buddhist literature, the Bodhicharyavatara, or Way of the Bodhisattva, is required reading for understanding Tibetan Buddhism. Presented in the form of a personal meditation in verse, Shantideva, the seventh-century Buddhist master, outlines the path of the bodhisattvas—those who renounce the peace of their own liberation, vowing instead to attain enlightenment for the sake of all others. The Dalai Lama once remarked that his own understanding of the bodhisattva path is based entirely upon this text. 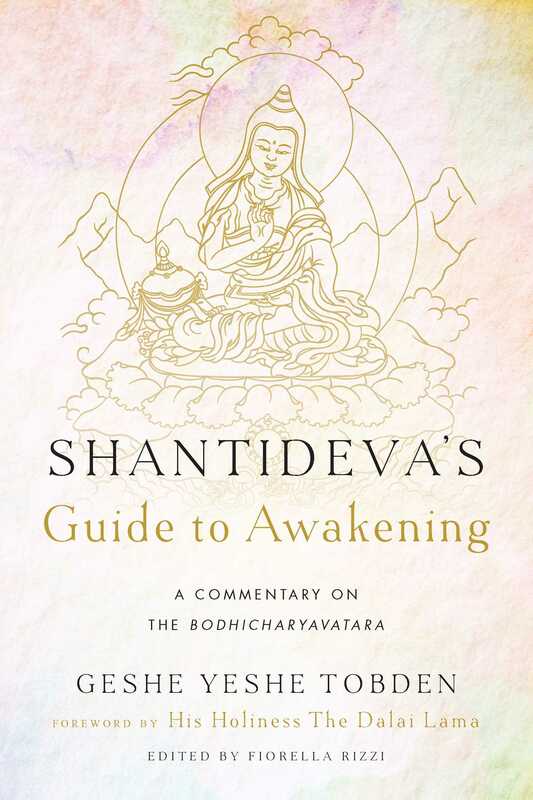 Expounded by an accomplished scholar and deeply realized meditator, Shantideva's Guide to Awakening is a resource for a lifetime of study. Chapter by chapter and verse by verse, Geshe Yeshe Tobden maps the Bodhicharyavatara in clear and insightful language, helping us to deepen our understanding of its teachings and apply them to our lives. "…this outstanding volume provides a Mahayana road map for self-cultivation, adhering closely to Shantideva’s chapters yet drawing deeply from Geshe Tobden’s own profound training and experiences."